Teaching SUP on the river that is 10-feet deep and a little murky can have a few downsides, and the main one is, that if someone drops something in to the river on a lesson, its very unlikely that it will ever been seen again…although, not impossible as I was about to find out. 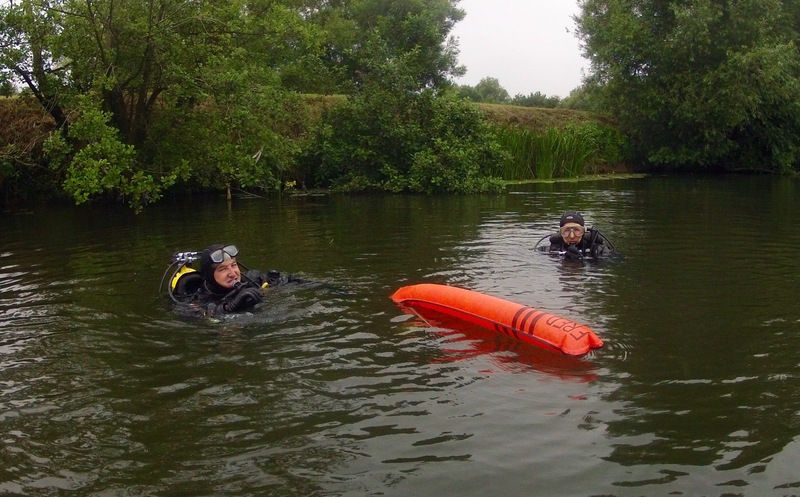 During a SUP lesson on the river, a client caught her new Go Pro on the board and it came off and disappeared in to the murky depths of the river Avon. She was clearly gutted and put a brave face on it. I noted the spot in my mind as I thought surely there was a way to get it back, although testing the depth I reckoned it to be about 10 feet. I was sat at home later that evening and thought why not put it out on Facebook as a challenge? So thats what I did. “OK Facebookers I have a challenge for you” and I filled in the details for them. I instantly had five or so people reply with various ideas, but one guy offered to scuba dive in the river to get it back the very next day. This I had to see, so I emailed them and arranged to meet on the river bank. Kitted up in full diving equipment and chaperoned by myself on a SUP, we headed down to the spot where the Go Pro was dropped. Bearing in mind the visibility was about 10 inches and maybe 12 inches with their lights on, chances were slim! They dropped a weight in with a buoy attached to it and disappeared in to the depths. I watched as the bubbles circled the buoy and after a few circles a diver appeared. 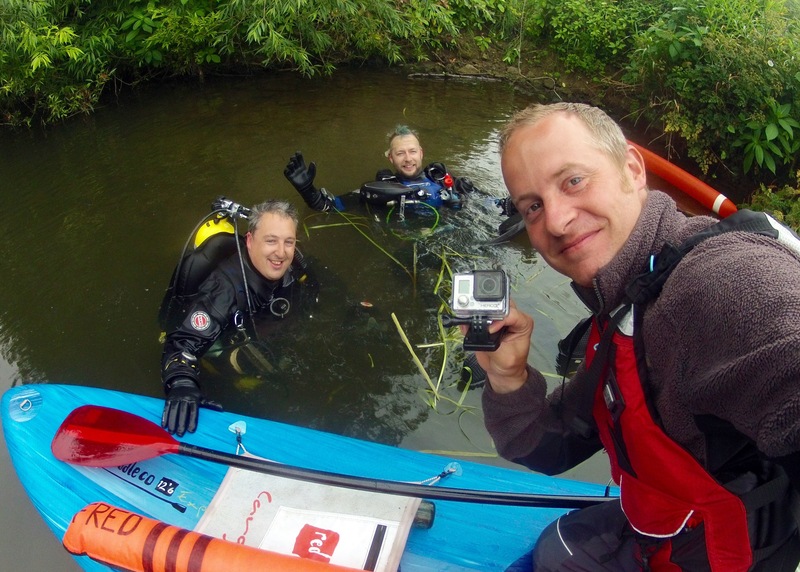 “anyone want an old lemonade bottle and a Go Pro?” I couldn’t believe it, they had found it! “Operation Go-pro” had been a success! The guys had pulled it off! Mark and Fred had also mentioned how much stuff is actually on the bottom of the river from the hundreds if not thousands of years river use. In fact so interested the diving club want to come back and dive again to collect everything they can find, so stay tuned! Who knows what treasures they might discover! In the end we had one very happy client, and more impressively, Facebook had had saved the day!